At BirthRight promoting breast feeding and supporting new mothers to breast feed is an integral part of post-delivery care. 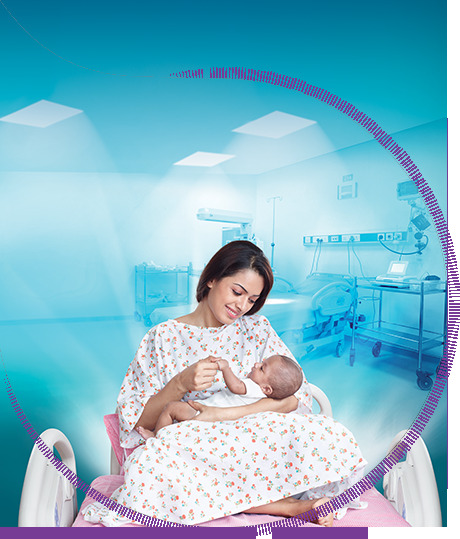 We have dedicated lactation consultants who check mothers and baby every day to promote and sustain breast-feeding. We regularly conduct Breastfeeding preparation classes for pregnant women and their families so that they get sensitized to this issue while pregnant itself and are motivated to breast feed their babies soon after delivery.. There is no doubt about the fact that breastfeeding is the very best for both the newborn baby and mother, but unfortunately breastfeeding is becoming a lost art these days. The experience of breastfeeding a newborn can be very enriching but also daunting at the same time. A lack of understanding of the process is one of the major reason. Understanding that nurses are the interface in this whole phase of breastfeeding BirthRight has been conducting workshops for nurses preparing them theoretically on the nuances of Lactation and also giving them practical hands-on experience.The ultimate goal of the classes and lactation consultant daily in patient rounds is to promote, protect and help sustain breastfeeding.